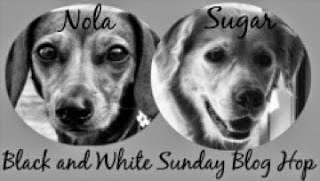 Have a serene Sunday Lily & Edward and let us all partake of some big easy today. Sunday relaxin' is the best and if you get treats.... well then that is almost heaven. A nice day for an extra snooze. Oh what a great B&W post. Lily what is one fine looking pink tongue you have. Mom and I cracked up at your buggy story. Have a nice Sunday. Sniff from Laika and Vaks. Same thing we're doing Edward! You guys look soooooo relaxed!!! Pawfect Sunday!! Looks like a lazy Sunday to me...the perfect kind! Aren't lazy ssummery Sundays the bestest?! That first photo is adorable...just want to move in and cuddle. PERFECT Black and White Pictures!! Sure hope THIS comment ... STAYS on here. You sure make Sunday look easy you two!! You look so happy and content, Edward! You are making us tired. 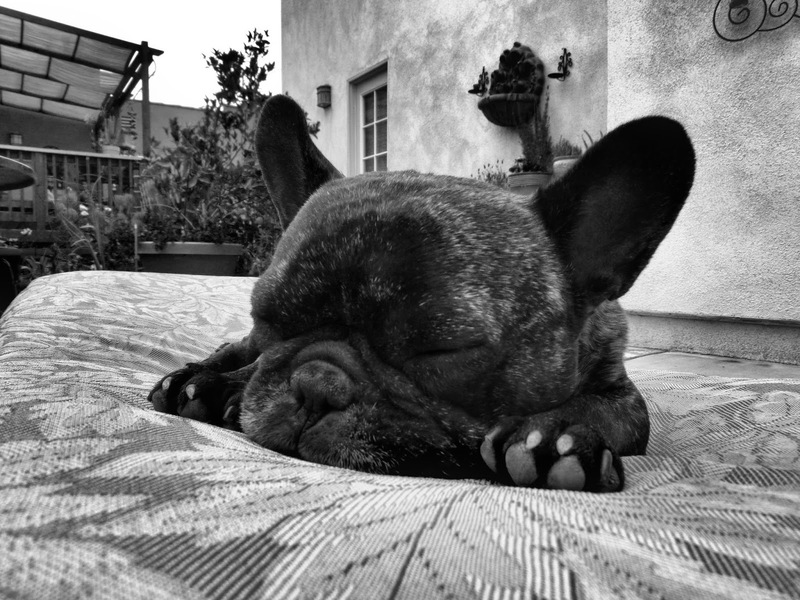 A snoozing Frenchie is the cutest! Someone is sleepy :-) Hope you got a good rest! Edward, we think we hear you snoring. Lily! Are you being naughty by not pawticipating in the black and white part? Ha! Ha! Now I'm ready for a nap. Sweet dreams!